Are you in the market for a Denver condo? We can help! 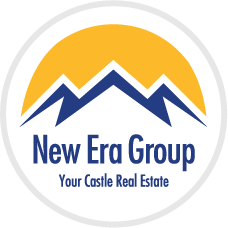 Buying property in the Denver area has never been easier. From Downtown Denver, to Capitol Hill, to Riverfront Park properties and much more, our selection of Denver's properties is sure to satisfy your condo hunt. Simply use the search feature above to get started. For those who prefer to search in a more detailed and exact manner we have you covered, too. Our “Search Lofts and Condos ” feature allows you to find properties through even more features. Refine your search by zip code, school district, neighborhood, number of bedrooms and more. This tool even gives you the ability to search by features such as price range, size, and amenities available! Use can even utilize the map to search foreclosures in the Denver area. Familiarize yourself with Denver’s lovely neighborhoods by clicking on the “Search By Building” navigation tool. Here, you will find the Denver area split up into sections, allowing you to read up about what each has to offer. Once you have found a neighborhood that interests you the most, you can dig even deeper by browsing the different Denver condos that are available. Even if you are searching for a traditional loft, scrolling through our vast selection of properties you will easily find places of interest without the hassle. Still having troubles finding your dream property or simply don’t know where to begin? No need to worry. Our agents are here to help. 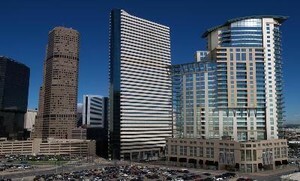 Take advantage of our knowledge about the beautiful Denver area and let us personally help to find your dream property. We know every Denver property out there and will contact you with a list of Denver condos that meet your needs for you to review. Simply fill out a form to inform us about what type of condo you are looking for and we will get to work! Now is the time to buy and we want to make your search as easy as possible. With so many options available our simplified searching process makes finding your dream condo easier than ever. When you are ready to buy, contact us and we'll help you through the entire process.